Rejuvenate and add a touch of class to your corporate cafeterias. 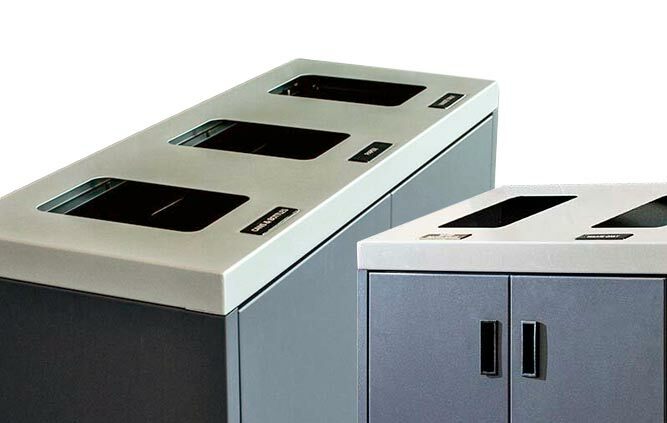 Our Lenox Tray Top Recycling & Waste Stations feature built-in tray holders, large capacity, and a stylish & durable stainless steel and laminate finish. 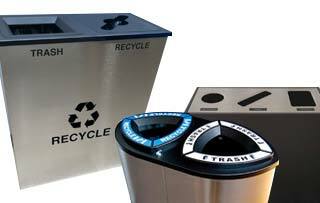 Highly scratch and dent resistant, these recycling stations will ensure the longevity of use in any high traffic area throughout your facility.